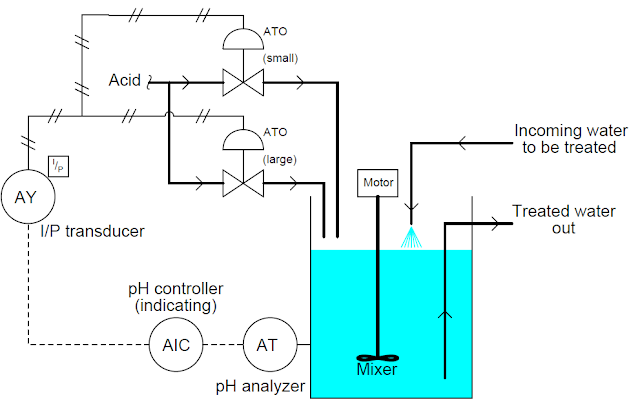 In many process control applications in industry, it is sometimes desirable to have multiple control valves respond to the output of a single common controller. 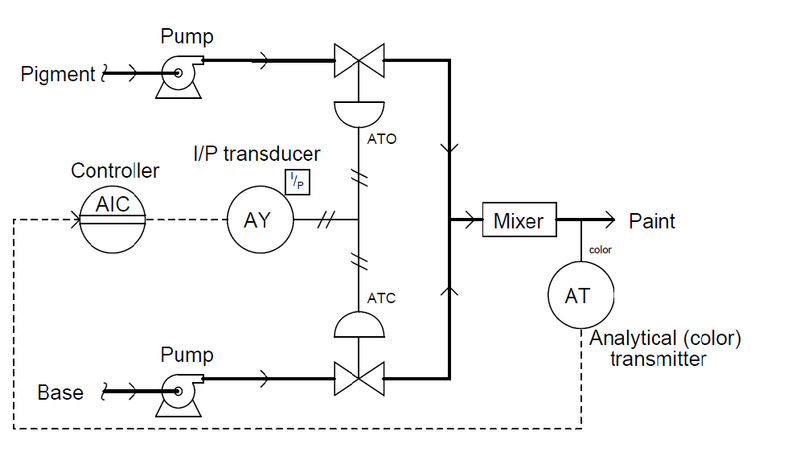 Control valves configured in this way to follow the command of a single controller are said to be split-ranged, or sequenced. Split-ranged control valves may assume different forms of sequencing. Common modes of control valve sequencing seen in the process industry are: complementary, exclusive, and progressive. Example of complementary split-range control. The nature of valve sequencing in this type of split-range control is to have an “EITHER OR” throttled path for process fluid. That is, either process fluid flows through one valve or through the other, but never through both at the same time. 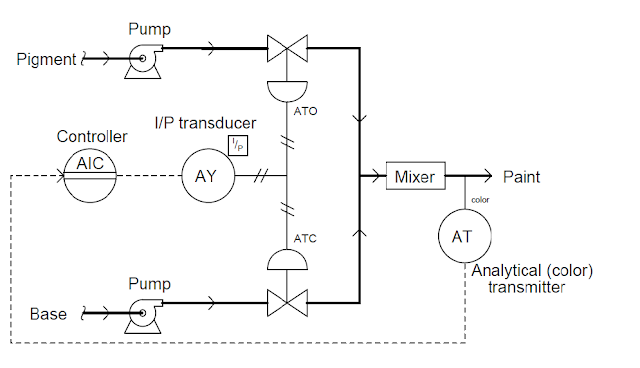 This type of split-ranged control valves call for a form of valve sequencing where both valves are fully closed at a 50% controller output signal, with one valve opening fully as the controller output drives toward 100% and the other valve opening fully as the controller output goes to 0%. A pH analyzer monitors the pH value of the mixture and a single pH controller commands two reagent valves to open when needed. If the process pH begins to increase, the controller output signal increases as well (direct action) to open up the acid valve. The addition of acid to the mixture will have the effect of lowering the mixture’s pH value. 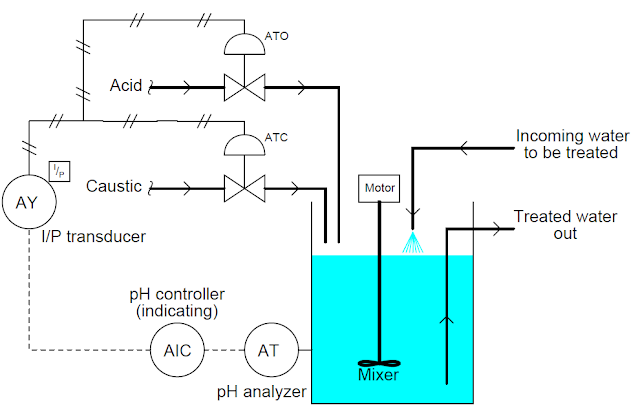 Conversely, if the process pH begins to decrease, the controller output signal will decrease as well, closing the acid valve and opening the caustic valve. The addition of caustic to the mixture will have the effect of raising the mixture’s pH value. This form of split-range control for control valves is used to expand the operating range of flow control for some fluid beyond that which a single control valve could deliver. In this type of control, one of the valve usually a small valve opens gradually and becomes fully open at 50% of controller output while the large valve will remain shut at until the controller output goes beyond 50% when it starts opening. Both valves become fully open when controller output is 100%. 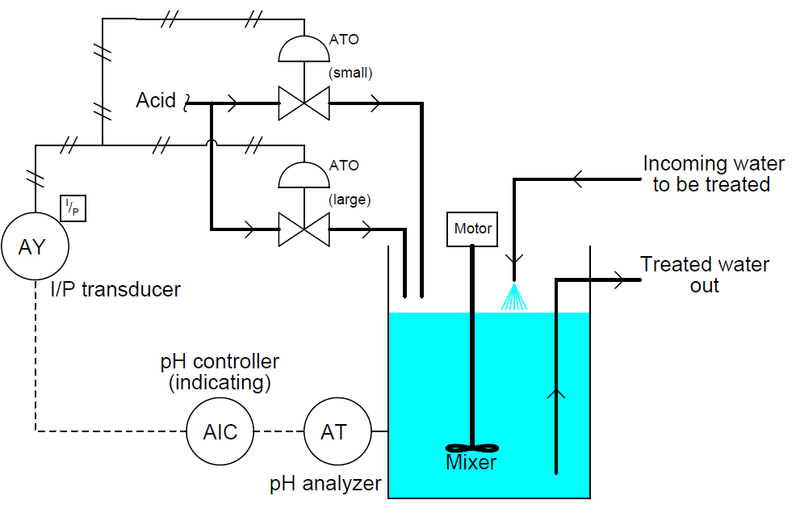 The PH of the incoming water to be treated is measured by the analyzer, AT. As the output of controller AIC increases, the small acid valve starts to open and becomes fully open at 50% of controller output. Meanwhile the large acid valve will remain shut until controller output goes beyond 50%. At 100%, both small and large acid valves are fully open to ensure that the PH of the incoming water is neutralized.